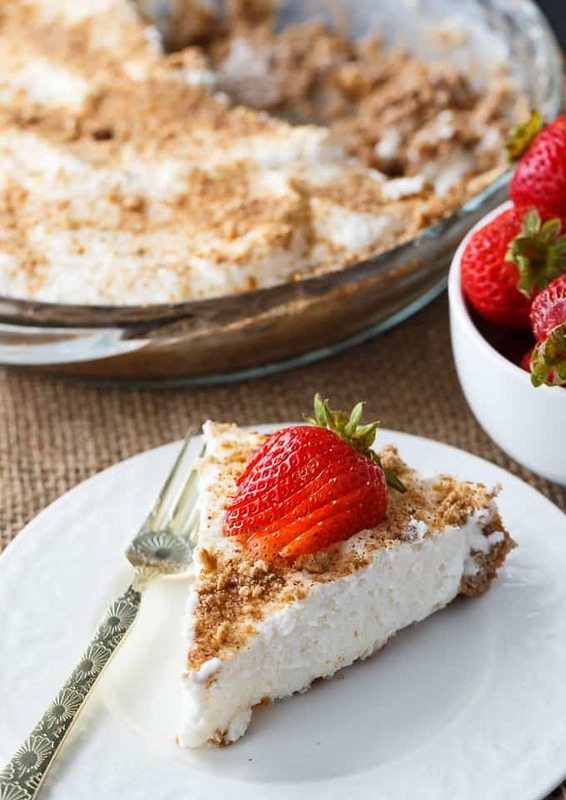 If you haven’t tried Marshmallow Pie before, you are missing out. 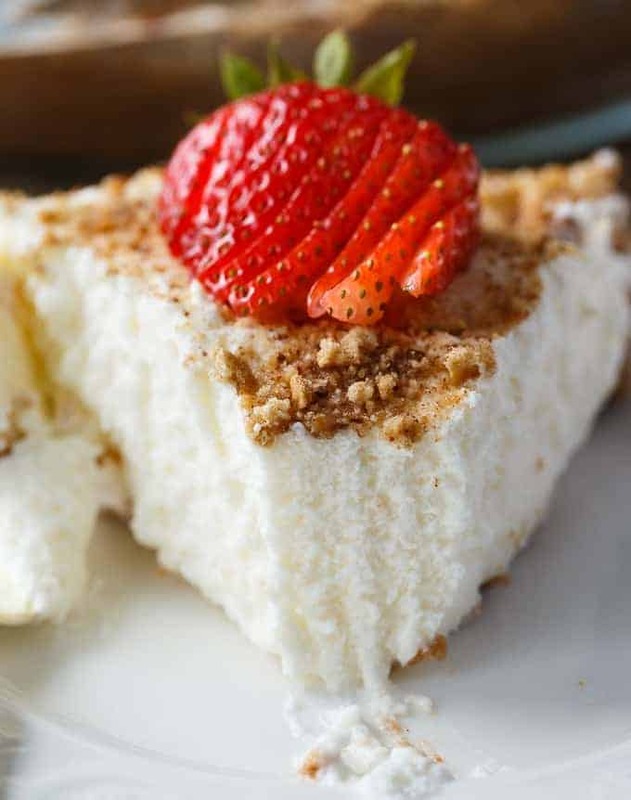 It’s creamy, sweet and is like a piece of heaven. 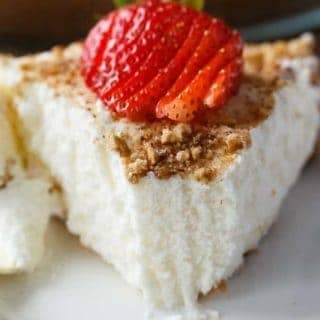 It’s also no-bake which is great for the hot summer months. Because who really wants to turn on the oven? I was craving something sweet, but didn’t want to get too elaborate with a full-blown baked pie. It’s been incredibly hot this summer so I’ve been trying to limit my use of the oven. The thermostat rises two degrees when I use it! My poor air conditioner is running constantly. Give me no-bake, please! Marshmallow Pie was a happy in-between. You need to use the stove to melt the marshmallows, but it doesn’t take that long to make. The longest part of the recipe is chilling time which is a must unless you want the pie to fall apart when you cut a slice. I was originally thinking of making a Millionaire Pie, but didn’t have all the ingredients. Marshmallow Pie it is instead! I’m happy with my decision. I’ll save Millionaire Pie for a later date. To begin, you’ll add the marshmallows and milk to a saucepan over low heat on the stove. Stir the mixture constantly until the marshmallows melt. 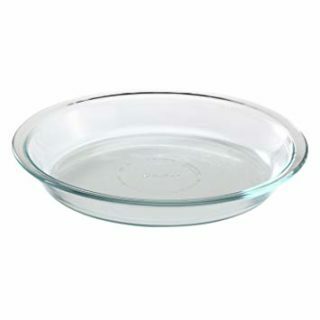 Set it aside while you work on the rest of the recipe. In a large bowl, add the whipping cream and beat with an electric mixture until soft peaks form. Fold whipped cream into the marshmallow mixture. In a large bowl, mix together the graham cracker crumbs, chocolate and melted butter. Press half the mixture into a 9-inch pie pan. 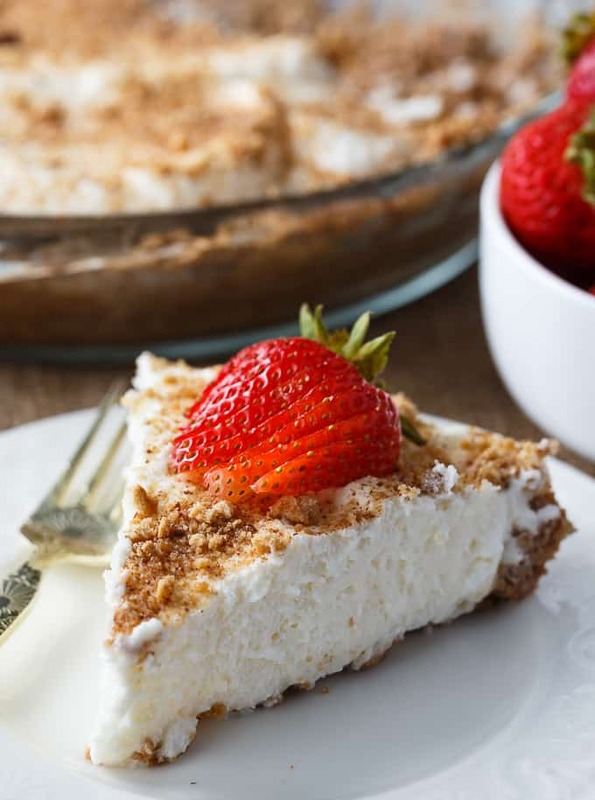 Spread the marshmallow mixture on top of graham cracker crust. Top with the rest of the graham cracker crumb mixture. Put in the fridge to chill for at least 8 hours or overnight. My cousin came over with her teenage son for a visit and they each had a piece of the pie. Connor, my cousin’s son, asked for seconds which was awesome. Rarely do my girls ever ask for second helpings! Maybe it’s a boy thing? Anyways, it was nice and I sent them home with a few extra pieces. Love marshmallows? Me too. Here are a few more recipes to try: Chocolate Peanut Butter Whoopie Pies, Marshmallow Bars and Chocolate Confetti Bars. You might also enjoy this Sweet Potato Pie. Creamy and sweet! 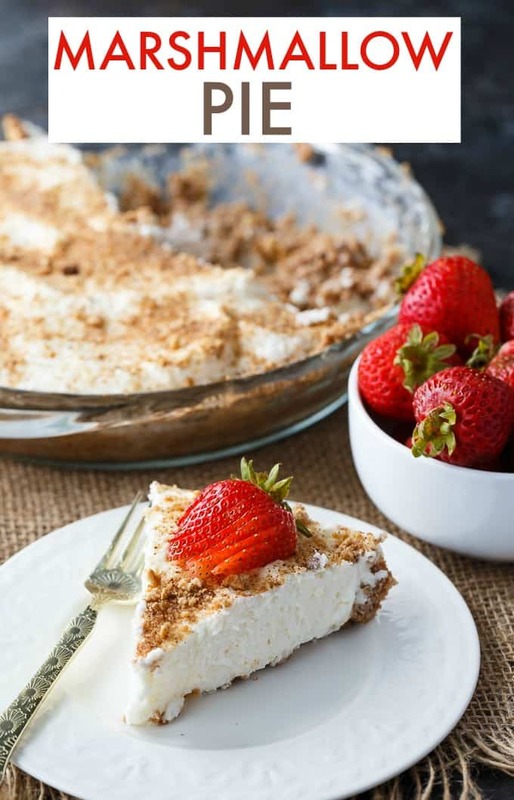 This rich no-bake pie is like heaven on earth. 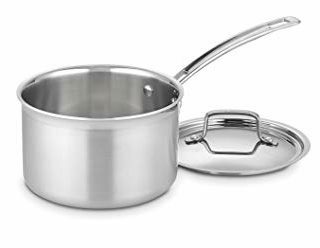 Add marshmallows and milk to a saucepan over low heat. Stir constantly until the marshmallows are melted. Let cool while you prepare the rest of the recipe. 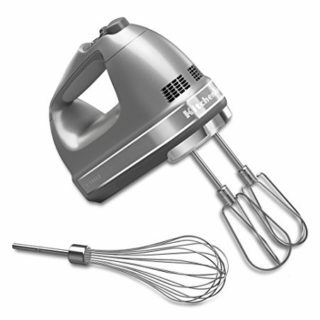 Beat whipping cream with an electric mixer until soft peaks form. Fold into marshmallow mixture. In a bowl, mix together graham cracker crumbs, chocolate and butter. Press 1/2 of mixture into the bottom of a 9-inch pie pan. Spread marshmallow mixture into pie pan. Top with remaining graham cracker crumbs mixture. 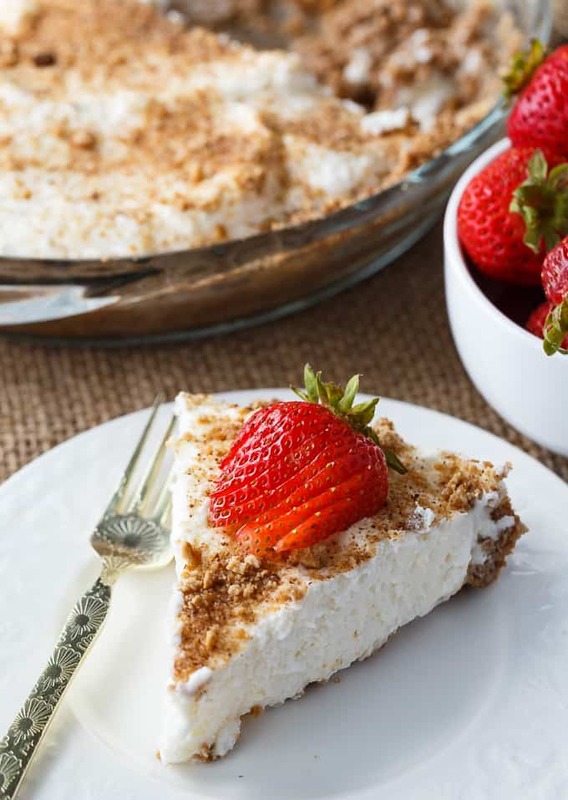 I neither tried out a marshmallow pie – therefore, thanks a lot for the recipe! This pie looks amazing! Totally making it for myself for my birthday this year! Oh man! 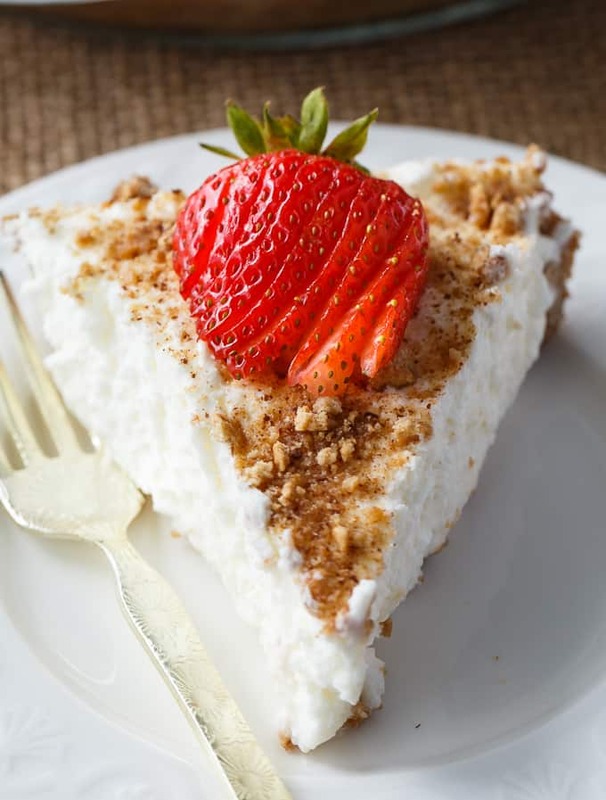 This pie looks delicious and creamy! Will marshmallow fluff work in place of the marshmallows? It should because fluff is basically just melted marshmallows. I just wondered, can you please tell me how many grams of marshmallows I should use, because we don´t have mini marshmallows in Germany, only the big ones. Thanks! It works out to be about 806 grams. The big ones will be fine because everything is melted anyways. 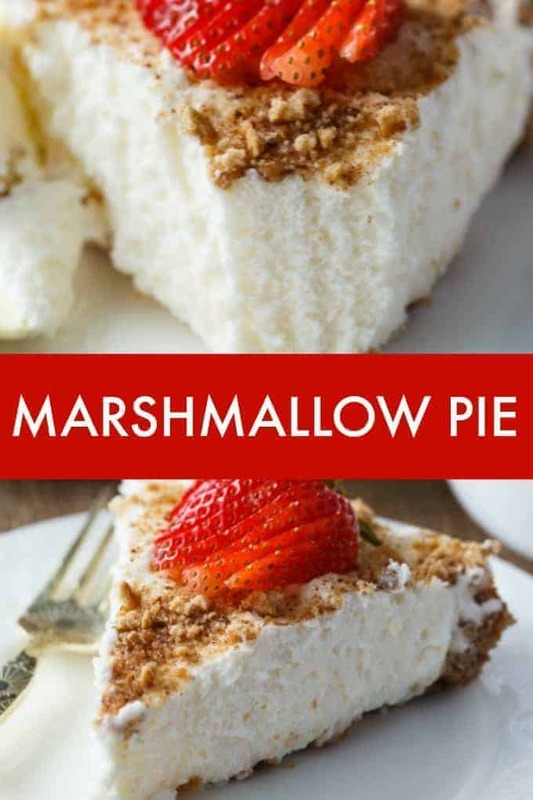 Marshmallow Pie, sounds yummy. Printed and signed up for your newsletter. I really want a slice of this pie! Hope you are having a great weekend and thanks so much for sharing with Full Plate Thursday! I want to make this, but I only have large campfire marshmallows. I wonder how many of those I would need? Anyway, I’m pinning so I can make this! I would just measure out 4 cups of the campfire marshmallows and that should be ok!